Why do we find it so hard to accept a compliment as women? Why as women can't we say "thanks so much" when being complimented? A random situation happened to me the other day which got me thinking! I was out and about at an event when I bumped into a lady who I'd not seen in ages. We're Facebook friends but acquaintances rather than super close friends. Anyhow, I hadn't seen her for a while in person but I had seen on Facebook that this lady was on a health and weight loss mission. 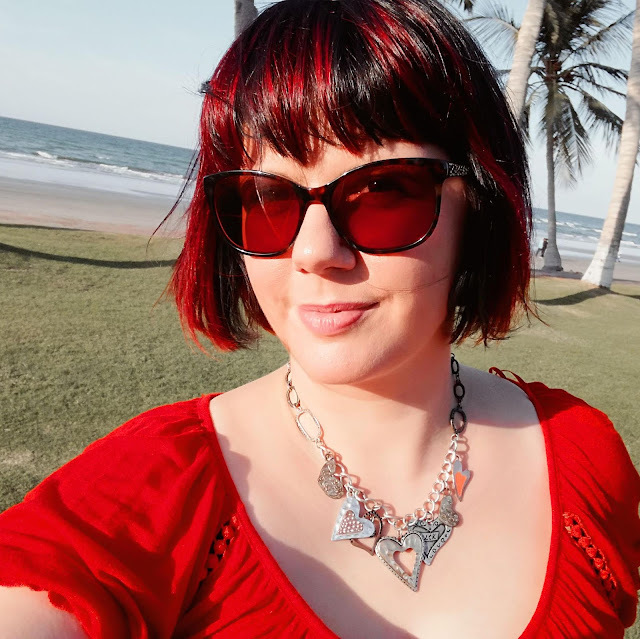 When I saw her I noticed that she looked really well, happy and confident and after all the struggles that I've had with my own weight for years, I decided to pay her a couple of compliments to try to be nice and positive and build her confidence up. So there we were face to face catching up and asking how each other were and I said. "Wow, you look fab. I really like your dress and your sparkly eye makeup it's lovely." She stood there looked at me a little blankly and looked slightly taken back by the compliment that I'd thrown her way and then just kinda smiled nodded at me in an awkward way and walked off saying the words "Hopefully, see you again soon." Honestly, it felt so awkward. There's me trying to be supportive, friendly and genuinely compliment a lovely person on the way she looks and yet I was left feeling a little bit weird. But it got me thinking about how I react to compliments. I realise now that I'm a lot better at receiving compliments however it has really taken me some time to reply back to a compliment with a simple "Thank you." I remember someone would say to me years ago something like. "Oh wow your coat is lovely" and I instead of just saying "Arrr, thanks it is great isn't it" I'd play it down with a reply like "This thing... I've had it years!" I just wanted to make you think about how you yourself react to a compliment. Do you accept the compliment and feel great or do you always feel a little embarrassed and not sure how to react? Next time someone says something nice to you make sure that you listen carefully to your response! Let's stop pulling ourselves down and reacting to compliments with a negative reply. When someone compliments us next time let's respond with a strong confident "THANKS SO MUCH" also when you're out and about enjoying your day why not throw a compliment someone's way and brighten up their day! Let's focus on being confident and strong and build each other up and make each other smile! HUM Vitamins and why you should invest in em! As you know I'm a beauty and health geek. I'm always researching and seeing what's new in the world of vitamins and probiotics as I feel that taking vitamins and probiotics daily have made a big difference to my health over the years especially during pregnancy! I started to buy vitamins from a well known US brand that's here in Muscat. However, I started to get a little fed up with paying a stupidly high price tag for what was just a daily multivitamin. I also was also fed up with having to "make do". The multivitamin from this well known US brand had so many different ingredients in it and quite frankly I didn't need or want to take all of them. I just did for 3 months because it was the only thing available. Anyway, in the middle of last year, I felt enough was enough and I researched and delved deep into the world of vitamins and minerals. I soon discovered (thanks to Google) HUM NUTRITION and I really liked what I read. Here was a brand that had been set up by Chris & Walter with customer needs in mind. The research that went into this brand by its owners is amazing and the vitamins are made with the very best ingredients. I feel I should mention here that this is NOT A SPONSORED POST and even if it was you know that I only ever write about stuff that I believe in! What I love about HUM is the fact that you can buy what you want and need and get the vitamins that are really going to be of use to you and your health. I always start with BASE CONTROL and then build up a box of vitamins with things that I need. Well, I really wanted to share this find with you as I'm really super impressed with the brand. The products are high quality, I genuinely feel a lot better after taking these vitamins and I really like how they get delivered to me in a nice neat box monthly it just makes it easy. The company is based in America but they do ship worldwide. I get mine delivered to me via Shop & Ship here in Muscat, Oman. I only do this as it's a lot quicker than waiting on the post! When you sign up and begin purchasing from Hum nutrition they set you up with a discount code. If you're wanting to try out these vitamins for yourself just type in 158900 and you'll get $10 off your order... cool hey! 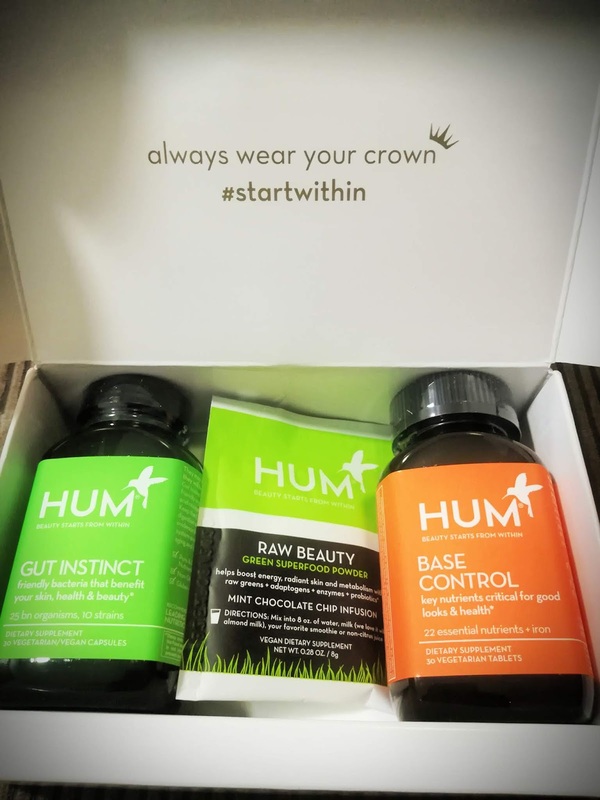 Have you tried out Hum Nutrition before? What do you think to the brand? It's been a while. Last year was super busy and I just didn't have time to write on here. However, that is about to change as I am going to make time to write on here from now on! Also, you might see that I've been a little bit busy with a rebrand. Do you like my new logo? I'm back on my blog "HOORAY"! I know, it's been blooming ages since I blogged, but hey you know what my life's like. I'm a busy bee being mum and doing work stuff in radioland. Anyway, let's get straight to the point. I've jumped online today to share with you a little bit of beauty. After all, I've got a love for all things beauty as you well know, and I very much intend on starting to share that with you again! This week, however, I wanted to share with you some PALMER'S products. PALMER'S products have always been in my life but with more and more products to choose from in the supermarkets and with the excitement of trying out new things I must admit that I forgot a little about Palmer's products for a while. I revisited Palmer's products again maybe a year or so ago after struggling to find anything that would suit my toddler's skin. We struggled quite a lot with dry skin when we lived down South in the UK. I think it was something to do with the water. Anyway, cutting a long story short I invested in all the Palmer's body products for little one and realised again just how awesome these back to basics products are. I say "back to basics" in the nicest possible way as it's actually nice to see products that don't have a million and one random ingredients bunged in there and Palmer's products are free from Parabens, Phthalates, Mineral Oil, Gluten, Sulfates or Dyes which is pretty darn cool in this day and age. 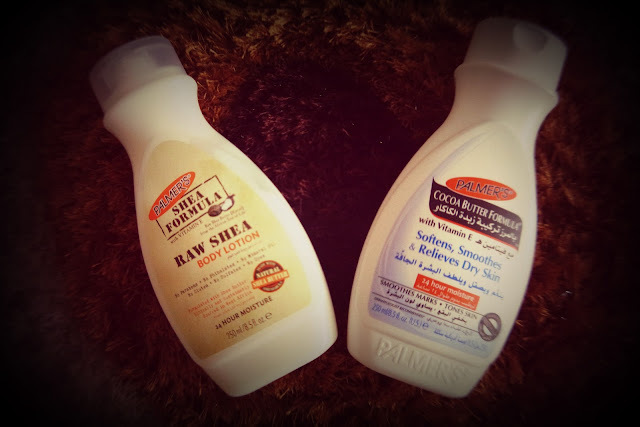 I was over the moon when Palmer's sent my way a couple of bottles of product to try out. Personally, I love using Palmer's Coco Butter Formula on my body when it's Winter time or when my skin's super dry. I've also found it super helpful if you end up getting a little sunburnt by accident as it really helps to sooth the skin and stop that horrible peeling. This is also the cream that I use on my little un's skin before bed as he loves the smell and it's really nourishing to use after bathtime. Palmer's Raw Shea Formula is great for every day. I use this now in the Morning quickly after my shower. It's perfect for the Summer as it gives just enough hydration to the skin but is lightweight and it absorbs into the skin super fast which is great for me as a working mum who has little time in the Morning and helpful in this hot weather as you're not left feeling sticky!